For me creating a portrait is an organic process an exchange with the subject. Each session is unique and it naturally evolves in a unique way. It is special. As everything, photography also as its trends and fashions, specific styles and colour tones that varies from season to season, nowadays more than ever with social medias influencing our taste for photographs. 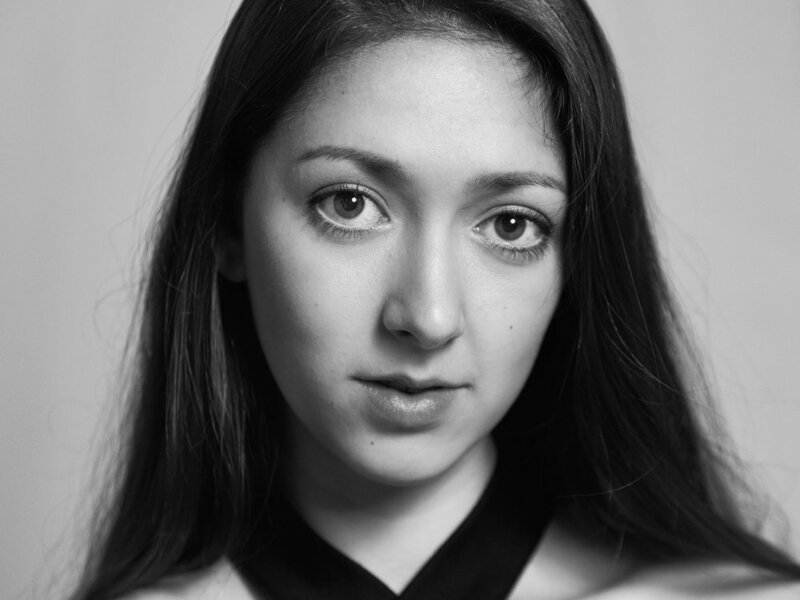 In the performing arts world, especially at an early stage of their career, most dancers, actors, musicians and performers have an headshot taken (a picture that help to identify them during castings) but a portrait is more that that to me and this time for English National Ballet too. 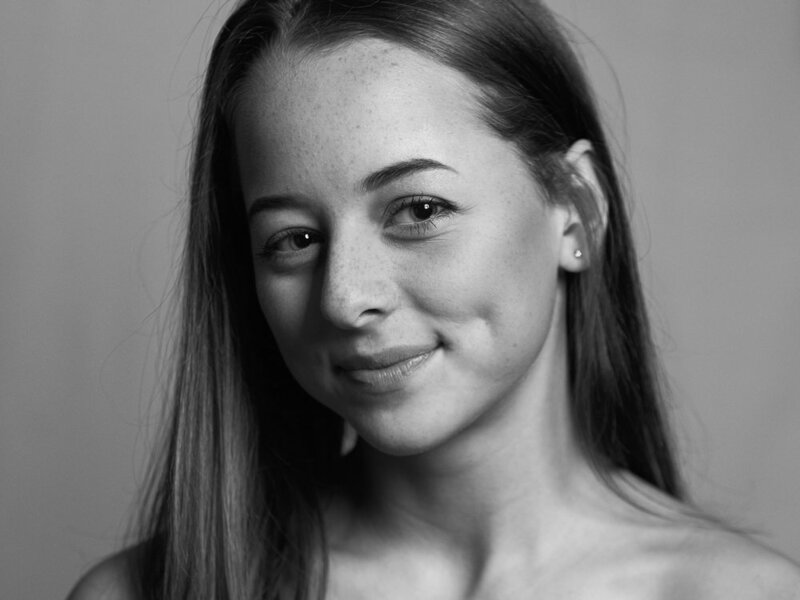 For the 2017-2018 English National Ballet Youth Company website we wanted the viewer to connect to these young dancers unique personality and with the creative team we decided to creates timeless black and white portraits with a fine grain. I immediately knew I wanted to be part of the dance. As you can imagine, we wanted the photographs to look less like a generic headshot and more like an artist’s portrait that engaged the audience to find out more about the youth company activities. 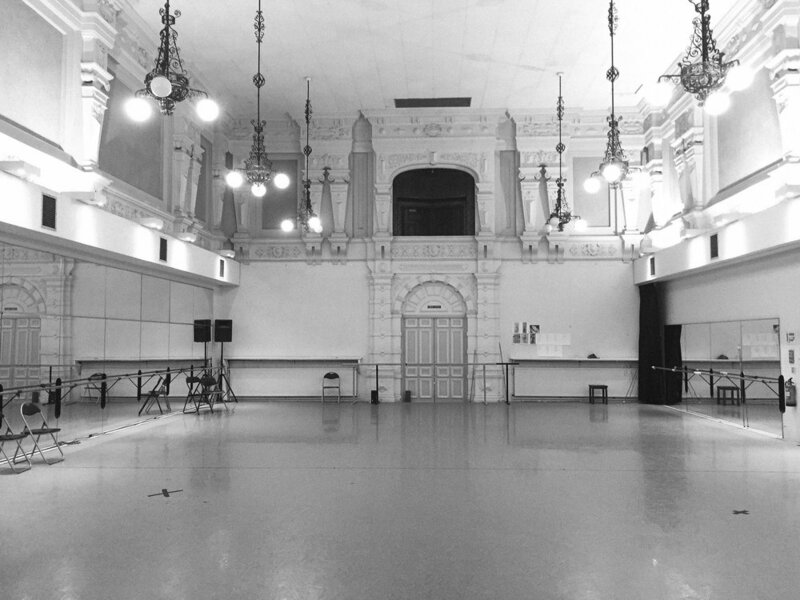 English National Ballet empty studio before the photoshoot. The photoshoot took place at the 39 Markova House in London (the headquarter of English National Ballet) affording us access to the upper studio that we transformed in a photography studio for the occasion. The project manager at ENB, Michaela Ellis, made sure everything was period correct, from the styling to the makeup to the hairstyle. The shoot was fast-paced and high-pressure: 21 portraits and different variations of a group photograph. We were shooting with a Sony a7RII tethered to a macbook pro were the creative team could check the images and have already a feel of what the final images would look like. One of the three light setups we used for the main group cover photo. The shoot was go-go-go we had very short time, around 6 minutes for each dancer and I used many little tricks and techniques I build over the time to make the young dancers feel comfortable, confident and able to show themselves naturally. The moment I started hearing subtle exclamation like “oooh”, “wow” I knew we had the images we wanted, but above all that the young dancers could really see themselves in those portraits. Ultimately, I found this project a nice challenge and enjoyed every moment of it thanks to the support of a superlative team at English National Ballet. My hope is more portraits and projects like that will be created in the future as young artists now understand the importance of portrait photography. Connecting with the young dancers while shooting their portraits.